Out of all diet systems, Weight Watchers seem to be very effective for many people, even to Oprah Winfrey whom she has credited for her recent weight loss. We will know more when Oprah Winfrey’s Healthy new cookbook is released next year. It is said to offer various healthy recipes that will assist people with their weight loss and maintenance goals. Oprah Winfrey is ready to tell her life story—through food! 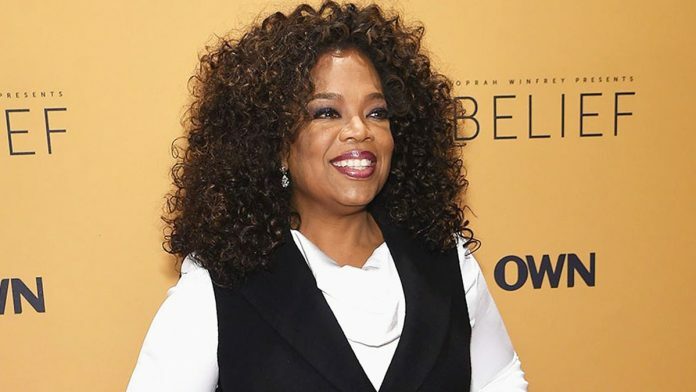 The media mogul is set to release a healthy cookbook, and People posted a sneak peek of the cover which shows a slimmed down Oprah dining on fresh fruit and healthy green juice. Winfrey’s book, titled Food, Health and Happiness: 115 On-Point Recipes for Great Meals and a Better Life, is due out January 3 2017, and it may be just what the doctor ordered to keep people on track with any New Year’s weight loss resolutions. Food, health and happiness. New point friendly cookbook coming Jan. 3. You can pre-order now. Bon appetite! Oprah Winfrey has had a rather public and lifelong relationship with food. And now the media mogul is set to channel her inner foodie knowledge into a cookbook, so devoted O-loved’s can have a heaping serving (or two) of some of Oprah’s favorite things…recipes, rather. Winfrey has previously opened up about some of her favorite foods (even if they weren’t too favorable on the waist line)—everything from caramel corn ice cream (it was listed as one of her favorite things in the final season of The Oprah Show), to bittersweet bacon-peanut truffle, store bought Williams-Sonoma croissants, Beecher’s “World’s Best” Mac ‘N’ Cheese (shipped frozen) and on-the-go mini caprese bites. Alas, Oprah is now a Weight Watchers spokesperson, so the recipes will likely be on the healthier side. In a statement, Winfrey revealed that while on Weight Watchers she has worked with the best chefs to create healthier versions of her favorite recipes. The food is so delightfully sinful that house guests have asked Winfrey how it can taste so good. In response, Winfrey decided to create a cookbook that includes recipes everyone can appreciate. The former queen of daytime credits her recent weight loss of more than 20 pounds to Weight Watchers. Winfrey has a 10% stake in the company and sits on its board. She also serves as a Weight Watchers spokesperson. Oprah Winfrey’s Healthy New Cookbook titled Food, Health, and Happiness: 115 On-Point Recipes for Great Meals and a Better Life is coming out Jan. 3, 2017.